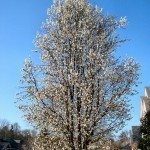 With beauty that endures through all seasons, ornamental trees have a lot to offer in the home landscape. Whether you are looking for flowers, fall color or fruit to keep the garden interesting over the winter months, you have lots of trees to choose from. Read on for help in selecting ornamental trees for the landscape. 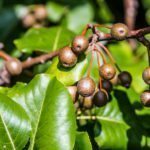 What is an Ornamental Tree? Ornamental trees are grown for their aesthetic value and the sheer enjoyment of having them in the garden. They may have outstanding flowers and fragrance, an interesting shape, colorful or unusual bark, excellent fall color, or a combination of these and other features. Most gardens have room for at least one small ornamental tree, and some can accommodate two or three. 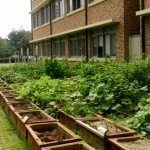 They add framework and structure to the garden, and provide at least a little shade. They also make great background plants for shrub and flower borders. 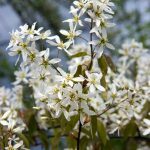 Flowering pears bloom in early spring with fragrant, white blossoms. Two of the most popular are Callery, which grows 30 feet tall, and Bradford, which reaches heights of up to 40 feet. Crabapple is the most popular type of ornamental tree in many parts of the country, and also one of the most labor-intensive to grow. 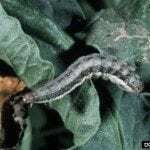 The trees need a good spraying program to prevent pests and disease, and they also need a good bit of pruning. There are over 200 varieties to choose from. Select one that is resistant to apple scab. Eastern redbud has purplish pink flower clusters in spring, yellow fall foliage, and dark brown pods in fall and winter. Weeping cherry is a graceful tree with early spring flowers. Songbirds love to visit this tree. Flowering dogwood has lovely white or pink flower bracts that appear before the tree begins to leaf out. Many varieties have good fall color and glossy red fruit. It needs watering during dry spells. Flowering plum has attractive flowers but the varieties that have reddish-purple foliage are the most popular. Ornamental trees make great specimen or stand-alone plants. This is especially true if they have features that make them interesting when there isn’t much else going on in the garden. You can also plant them in small clumps so that they make a garden all their own. Small ornamental trees and those with loose canopies that allow lots of sunshine through make good garden trees. The more sunshine they let through, the more options you’ll have in the plants that you grow under them. A pattern of shifting light and shade throughout the day allows you to grow sun-loving shrubs and perennials under their canopy. Size – Do you have room for the tree? Will it be out of scale in your landscape? Bloom season and duration – If you are selecting a tree for its flowers, you want them to last as long as possible. Location requirements – Make sure your soil is right for the tree and you can give it the right amount of sun or shade. Surface roots – Roots that rise above the soil can lift sidewalks and make lawn maintenance difficult. Litter – Some trees seem to always have something falling from their branches. This is especially true of fruit trees. Ornamental tree care depends on the type of tree. There are many ornamental trees that require very little maintenance. Pruning raises the bar on tree maintenance, so look for those that grow well without extensive pruning. Most ornamental trees look their best with a regular program of fertilization, usually in spring, and some require water during dry spells.